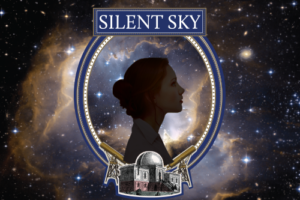 A celestial romance and true story of discovery, Silent Sky explores the life and career of Henrietta Swan Leavitt (1868-1921) as she fearlessly asserts herself in the male-dominated world of early astronomy. Hired by the Harvard Observatory as a human “computer” to catalog the stars, Henrietta’s story plays out against a landscape of early feminism and universe-revealing science, reminding us all what we can achieve when we allow curiosity and wonder into our lives. Without Henrietta’s work with variable stars, our view of the universe would be completely different. Henrietta’s work allowed astronomers to measure the distances between Earth and distance objects in the night sky. As a result, Edwin Hubble (yes, THAT Hubble) was able to discover that the universe extends beyond the Milky Way Galaxy and that there are in fact thousands and thousands of other galaxies out there. These findings, published only a few years after Henrietta’s death, fundamentally changed the scientific view of the universe and ensured Hubble’s place in the history books. She made all her discoveries while almost entirely deaf. After her graduation from Radcliffe College in 1892, Henrietta contracted a serious illness that took most of her hearing. Despite this, in 1895, she began work at the Harvard College Observatory as a human “computer” under Edward Pickering unpaid. Henrietta’s colleague at the Observatory and friend, Annie Cannon, was also nearly deaf as the result of scarlet fever. She received very little recognition in her lifetime. While many of her colleagues recognized her brilliance, the only official honor Henrietta has received from the scientific community was the naming of a crater on the Moon and an asteroid after her. Swedish mathematician Gösta Mittag-Leffler considered nominating her for the Nobel Prize in Physics in 1926. However, Harlow Shapley, the head of the Harvard Observatory at the time, informed Mittag-Leffler that Henrietta had died three years prior, suggesting that it was truly his (Shapley’s) own interpretations of her findings that should be honored. This entry was posted on Friday, August 4th, 2017 at 5:31 pm	and is filed under Uncategorized. You can follow any responses to this entry through the RSS 2.0 feed. You can leave a response, or trackback from your own site.